When I first started working with students who experienced learning challenges I was surprised by how many of them struggled with concepts of time. Even my fifth and sixth graders didn’t know the months of the year. Let’s say that you are a visual thinker. This is different from a visual learner, by the way. If you would like a little refresher, check out Profile of a Unique Learner: The Flip-Flopper. As a visual thinker you are probably extremely gifted in the arts, be it drawing or storytelling or some other medium. You are probably not, however, a linear thinker. In order to understand the passage of time we must first grasp the concept of sequential order, of first, next, and last. If you don’t naturally think in a linear fashion, learning that Tuesday comes after Monday or that January is the first month of twelve months in a year may not stick. Not right away, at least. Since your upper grade elementary teachers assume that you know this stuff already, it’s easy to hide the fact that you don’t. 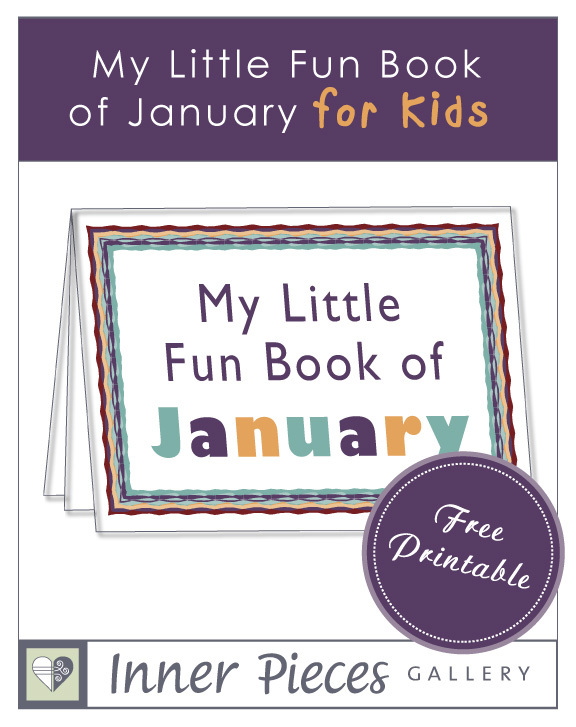 I designed My Little Fun Book of January as a tool for multiple ages. It is just as appropriate for children learning about the months of the year as for those who have trouble retaining the information. With this free printable, kids in first grade and above practice their knowledge of January. American holidays, the winter season, the number of days and more are woven into a word search, spelling practice, trivia, word art and a simple cut and paste activity. Note: This printable requires duplex printing (unless you don’t mind cutting each page in two). Fold each of the double sided pages in half, then staple or sew the pages together with string. Soon you will see more mini-books popping up in my Teachers Pay Teachers store, both color and black and white. You, my dear subscriber, now get the color version of My Little Fun Book of January for free. Sign in or sign-up below.